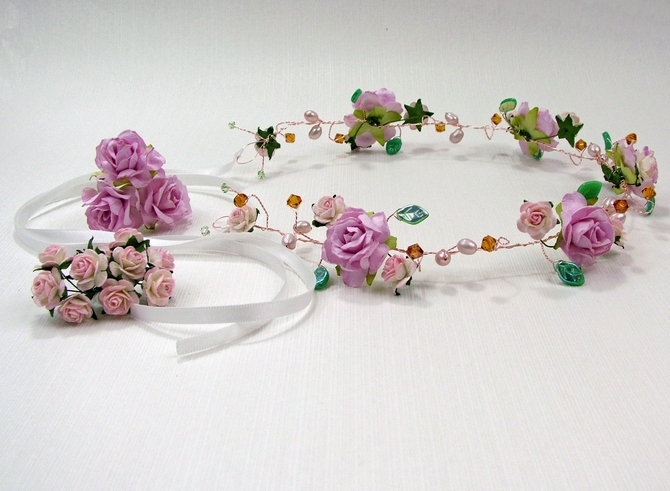 Pink rose bridal crown on gold wire with topaz Swarovski crystals, freshwater pearls and green glass leaves. 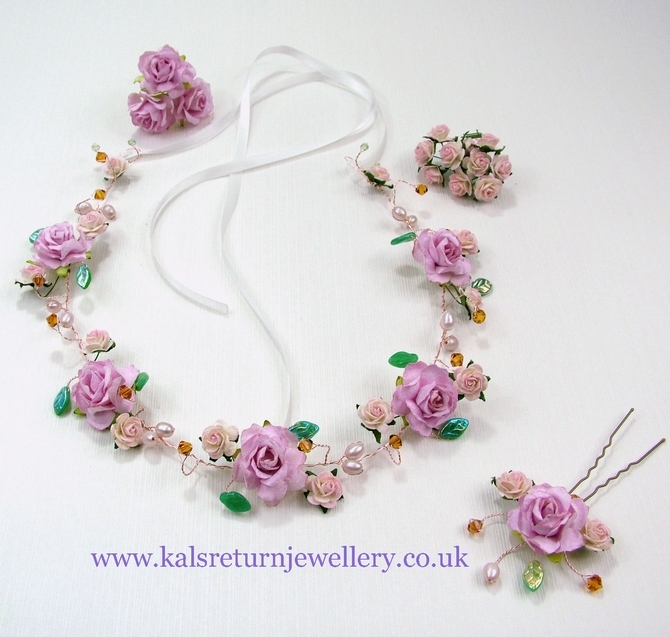 Perfect for a chic Rustic Wedding, this beautiful design is light and easy to wear. 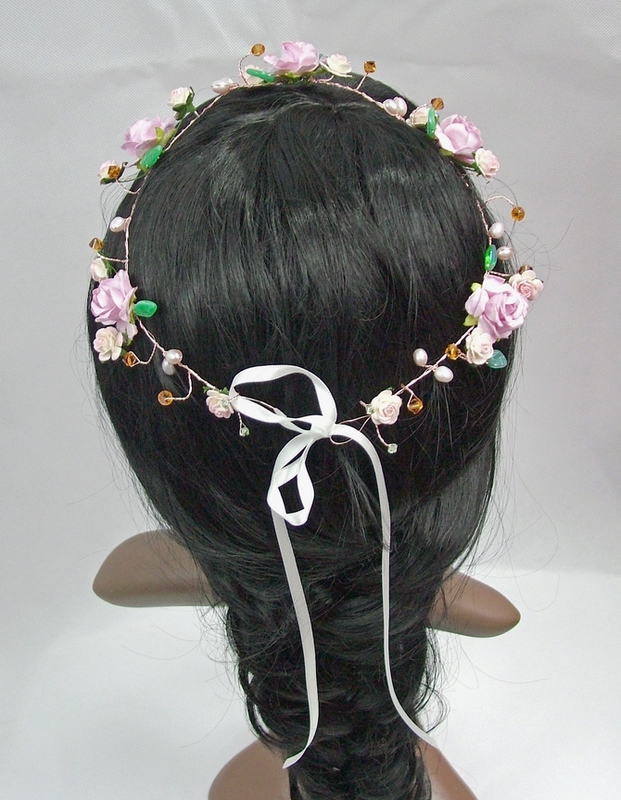 Either as a headband by using the ivory ribbon to tie around the back of your head. If you prefer to weave it into your hairstyle, simply remove the ribbon and use grips to pin it in. The vine measures 19" / 49cm plus 16" / 41cm for the ribbon. 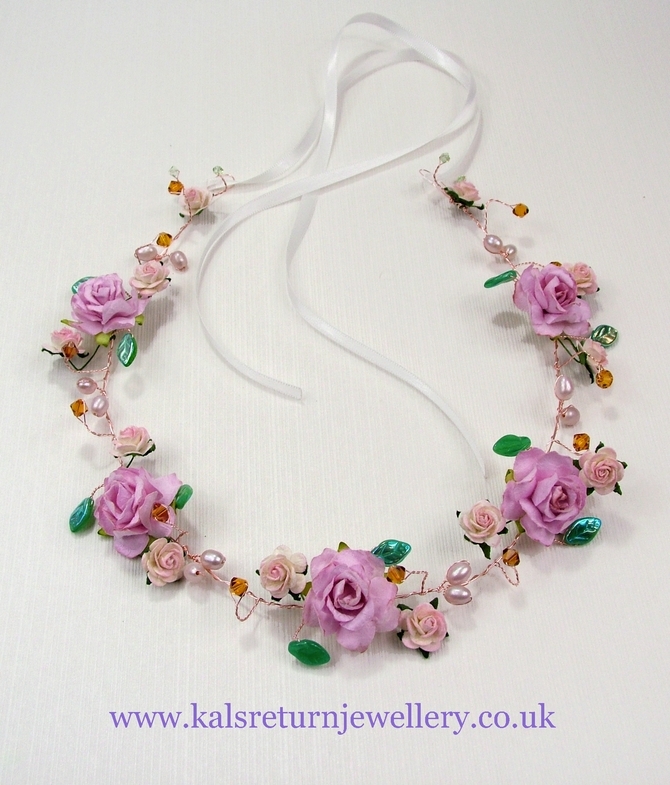 Available on silver wire and with different colour flowers to perfectly coordinate to your wedding colours. Any questions? Contact me and I will reply within 24 hours.
" Really talented and kind lady. 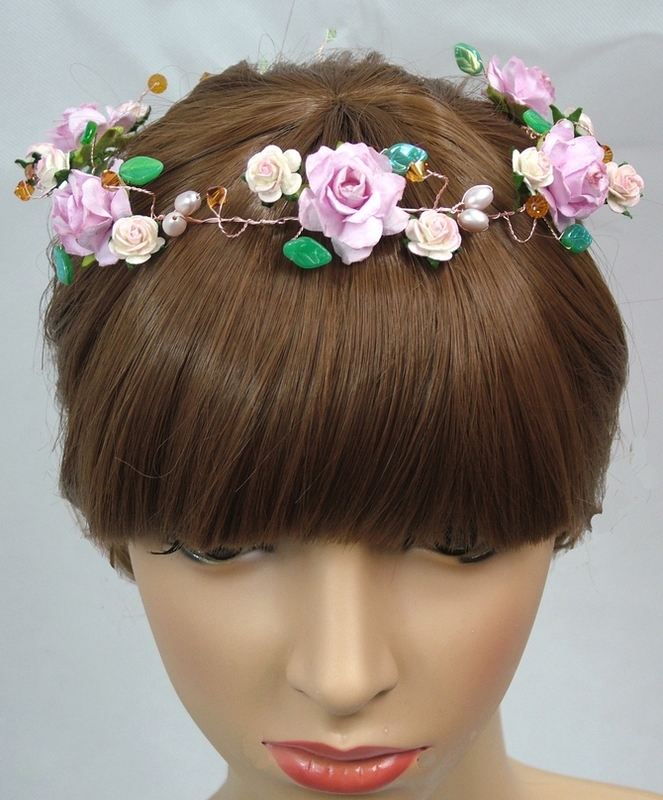 Hair vines are absolutely stunning, beautifully made and lovely quality. 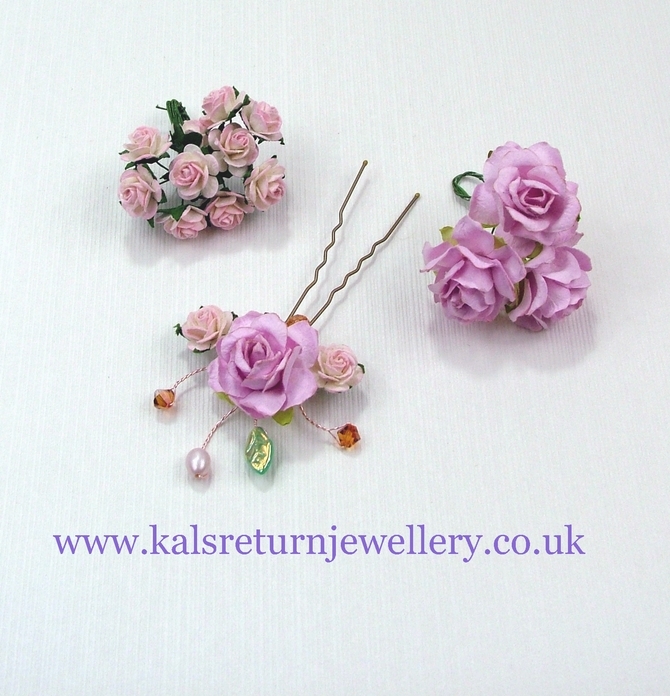 I can`t wait to wear my vine on my wedding day and will be recommending Kal`s Return Jewellery to all my friends. "